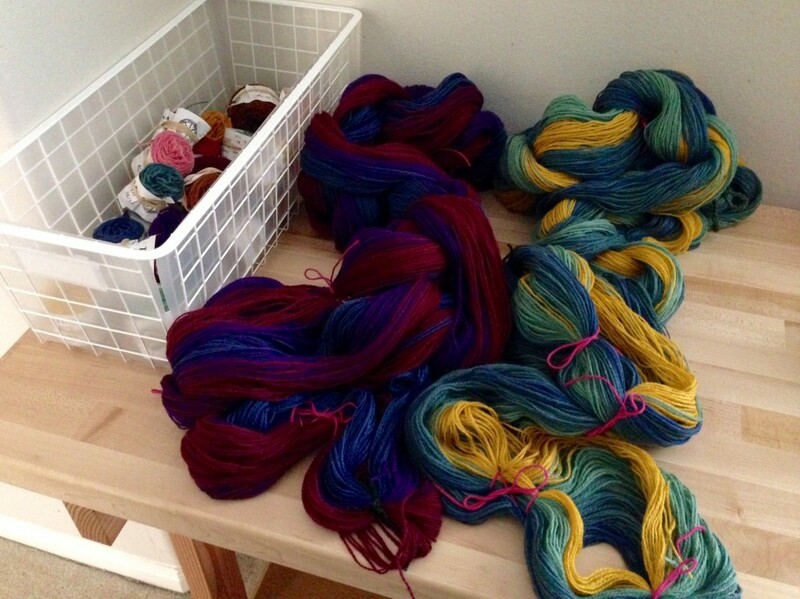 I arranged, added, and swapped until I had eleven different colors to blend into a courageous wool warp. 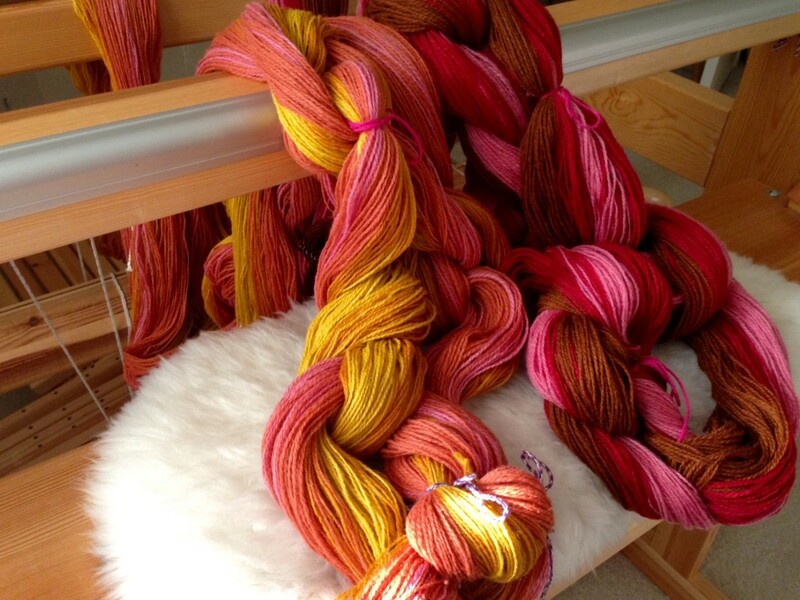 I had more fun pulling out skeins of yarn in Vävstuga’s shop than a kid in a candy store! The yarn is for a double weave blanket that has been on my mind for a few weeks. Yesterday, I finally had a chance to wind this wild warp! 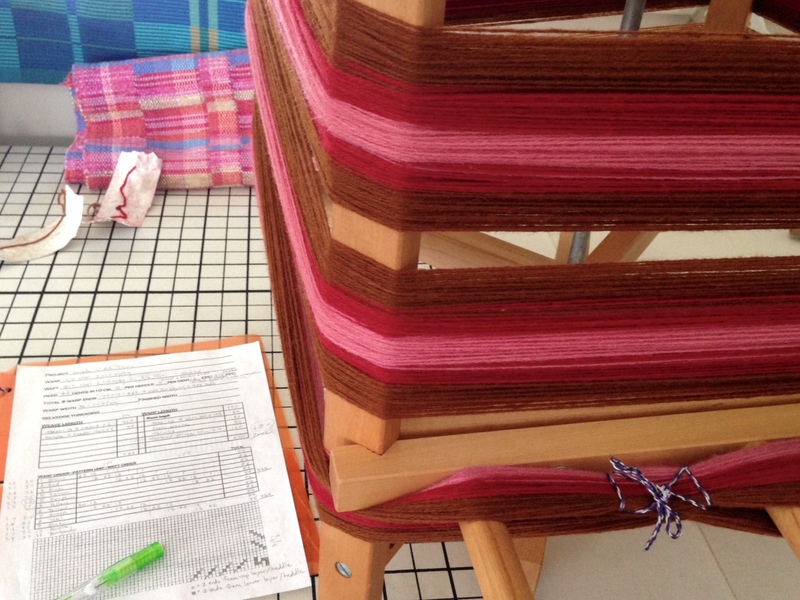 Dressing the loom is next! Yellow will be the center color of the double weave wool blanket. The symmetrical way the warp is wound on this warping reel might fool you, though. 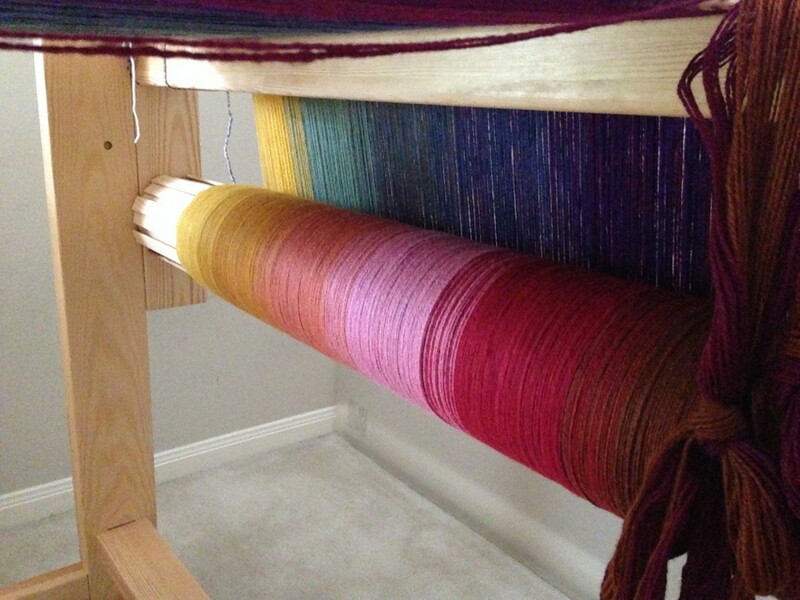 These are only a few of the eleven colors that will be blended across the warp. Second bout wound on the reel. I check and double-check my written notes to make sure I get the correct color order and numbers of ends. Away from home, I can only think about weaving on my looms. As much as I enjoyed the experiences of Vävstuga (Vävstuga Autum, Vävstuga Autumn II) and New Mexico (Pointers for Exploring New Mexico Fiber Arts Trails), I have been eager to put my hands to the tasks of weaving here in my own little studio. 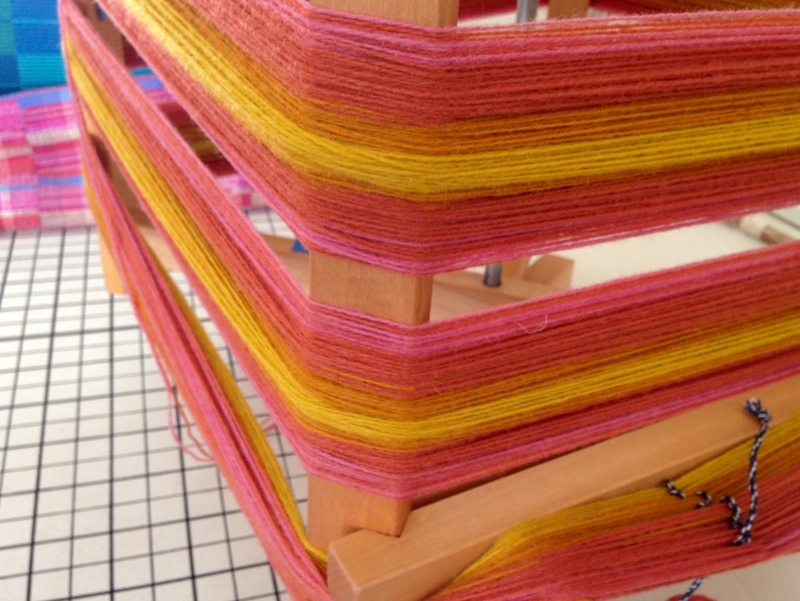 Winding the warp, feeling and smelling the soft Tuna wool, getting over-excited about the blending colors on the warping reel, handling the fat warp chains… Ah, I am where I’m supposed to be! One layer of colors for the double weave blanket. Basket holds what is left of the eleven skeins of Tuna wool. These two warp chains will be the other layer of the double weave blanket. Come home. Do you ever hear that? …as if you have been away too long? The nudge is to return to your faith roots. Enjoy the refreshing that comes in the presence of the Lord. It’s good to be where you know you belong. May you be where you flourish. Beautiful! I can’t wait to see the finished blanket. I’d love it if you posted some pictures of the work in progress. I will be happy to show my work in progress.